JERUSALEM: Israel said on Thursday it did not poison Yasser Arafat, making the denial after the Palestinian leader’s widow said Swiss forensic tests had proven he died from radioactive polonium poisoning in 2004. “We never made a decision to harm him physically,” Energy Minister Silvan Shalom, who in 2004 served as foreign minister and as a member of Israel’s security cabinet, told Israel Radio. 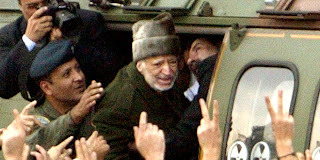 In the occupied West Bank, a senior member of the Palestine Liberation Organization issued a new call for an international investigation into Arafat’s death. The Palestinian appeal was made after the Al-Jazeera news channel on Tuesday published a Swiss scientific report based on bone samples taken from his grave last November revealing unusually high levels of the deadly polonium isotope in his body. “This matter warrants the formation of an international judicial body to look into it and hold accountable the perpetrator,” Wasel Abu Yousef told Reuters. “The one who had an interest in his death was the occupation (Israel),” he added. Chief Palestinian peace negotiator Saeb Erekat made an appeal for an international tribunal over Arafat’s death last year, when the Qatar-based news channel first disclosed the presence of the polonium on the late president’s clothing.